Ready for the weekend grocery run? 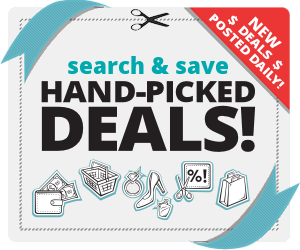 Arm yourself with these print and click coupons before you head out! Happy Friday! Save $2.00 when you buy any ONE (1) Lavazza Specialty Coffee Blends. Valid on Gran Selezione, Gran Aroma, Classico, Perfetto Santa Marta, Kilimanjaro and Intenso..Expires 10/31/2018.Save $2.00. Save $2.00 when you purchase ANY ONE (1) Dove DermaSeries. Any variety, excludes trial and travel sizes..Expires 11/1/2018.Save $2.00. Save $1.00 when you purchase ANY FOUR (4) Contadina® Tomato Products. Any variety. Items must appear on the same receipt..Expires 10/24/2018.Save $1.00. Save $1.00 when you purchase ANY ONE (1) Great Day Farms Hard-Boiled Eggs 6-Pack. Any Variety..Expires 10/24/2018.Save $1.00. Save $0.50 when you purchase ANY ONE (1) Great Day Farms Hard-Boiled Eggs 2-Pack. Any Variety..Expires 10/24/2018.Save $0.50.